It seemed to be just another snowy day in Minnesota in late March (as much of the rest of the country was welcoming spring). But as Amber Paulson, a Mayo Clinic nurse, was returning home from work, she saw a neighbor collapse in his driveway, KAAL-TV reports. "My adrenalin kicked in, and I knew that I had to help him," Amber tells us. She says she just happened to be at the right place at the right time. 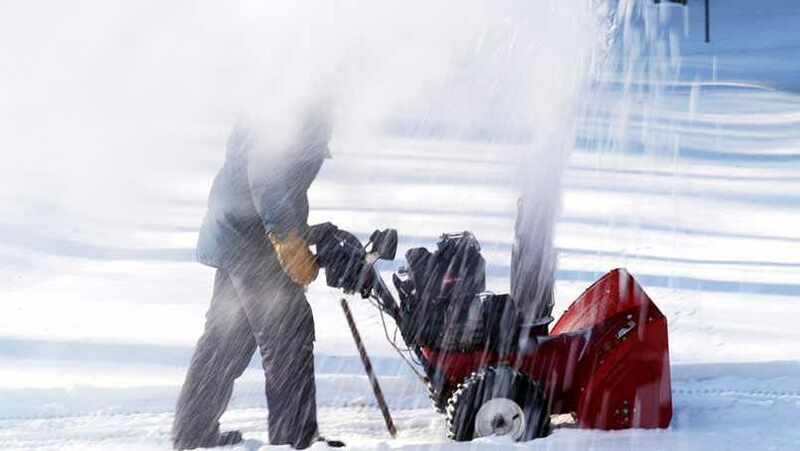 Amber came around the corner onto her street in southeast Rochester at around 4:30 p.m. on March 24, when she noticed her neighbor, a few doors down, operating a snow blower in his driveway. That was not surprising, given the conditions. However, she says, "Something did not look right." So Amber parked her car and got out to check on him. As she approached, she saw the man keel over backward and fall to the ground. Her training as a nurse kicked in. "It is difficult to describe, but I felt a sense of calm, because I knew what to do. But at the same time, I could not believe I was there doing this," she says. Another neighbor noticed what was happening and came out to help. They realized that the man was not breathing normally. Then he took a turn for the worse — he stopped breathing entirely, and Amber could not find a pulse. As the other neighbor dialed 911, Amber began performing chest compressions. Within minutes, police officers were on the scene with an automated external defibrillator. When the man did not respond to the AED, Amber continued the chest compressions until an ambulance arrived. Then, just as the emergency responders got him into the ambulance, his pulse returned. According to reports, Amber's neighbor recovered and is doing well. "I was so glad to help," Amber tells us. "It helped to have the police officers show up so quickly and to have the other neighbor help call 911." Capt. John Sherwin, Rochester Police Department, tells KAAL that Amber's quick action and the speedy arrival of first responders helped save the day. This is certainly no emergency, but we hope you will share your comments below. Then, share this story with your friends using our nifty social media widgets.